This articles was written by Matt D Murren. 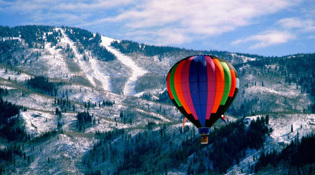 Matt owns and operates a seniors Vacation planning service and guided tours. Their are many others like elder trekkers who specialize in tours for active Seniors. We are all growing old slowly and remain active longer that every before. As a result all of the major adventure travel tour companies from Abercombie and Kent, National geographic and Gap Adventures are creating adventure vacations for all ages. They all offer many levels of activity from extreme to spectator status. Today elder adults can pick and choose from the very best. Are you in your December years and looking for a nice place to get away? Perhaps you’ve recently retired from your job and you’re looking for a nice spot to celebrate your accomplishment. Or maybe you recently lost a loved one and need some place to go and recuperate. In any event, it’s important to research and plan ahead. One terrific organization which meets the needs of their elderly travelers is Overseas Adventure Travel. The company provides exciting travel adventures you’re sure to never forget. With OAT, you don’t have to be concerned about traveling all by yourself. Their trips put 10-16 singles into a group. The benefit of this is that you have a travel mate who has similar interests. Another perk is that the price for buddying up is lower than if you went somewhere alone. Another nice thing about OAT is that you’re sure to make some new friends. The staff will help you find group members who share similar interests. They will also direct you towards where to find those interests. Do you enjoy traveling the high seas? 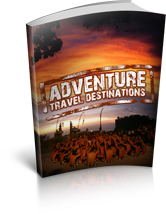 If so, you’ll love Overseas Adventure Travel’s range of options. You can travel the Amazon River during an 11-day trip for about $2,000. You can see the pyramids in Cairo, Egypt and see the Nile River for close to $2,500. Looking for something on dry land? Not a problem. Explore Costa Rica for 13 days for around $2,000. Looking for even more adventure? Take a 17-day journey into the ancient kingdoms of Laos, Thailand, and Cambodia for $4,195. And that’s just a few of the many options. With 28 different land adventures and 21 sea explorations, you can travel nearly anywhere on the globe your heart desires. It’s all up to you. It outlines in greater detail as far as sights, pricing, and accommodations. You may not be getting any younger, but a trip like this can refresh you and make you feel so alive…so what are you waiting for!